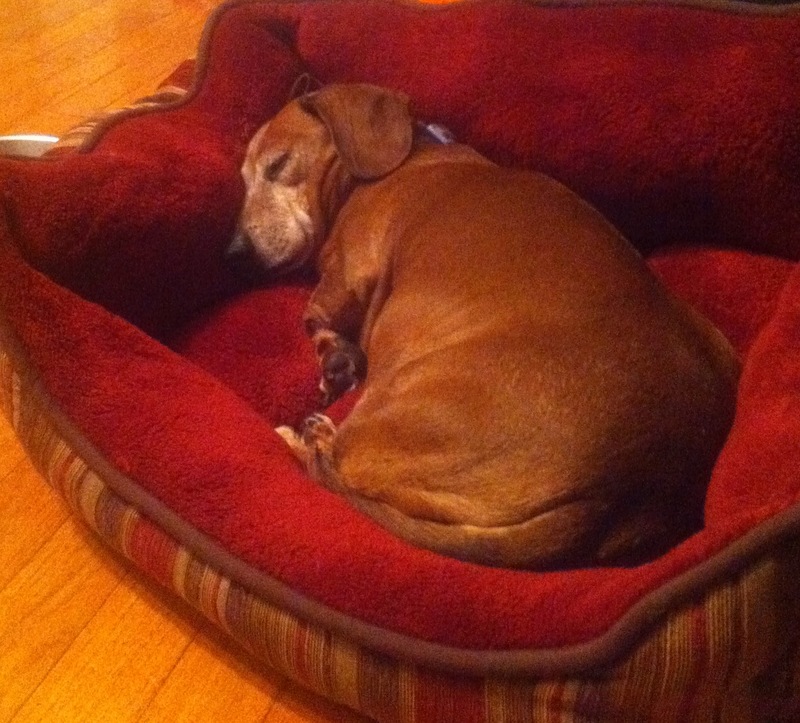 Jake enjoys a post-dinner nap in his new bed. The furkids had a great day of toys and treats. When the turkey cooled, Jake and Windy had some as well. Santa Claus and Santa Paws were good to all. 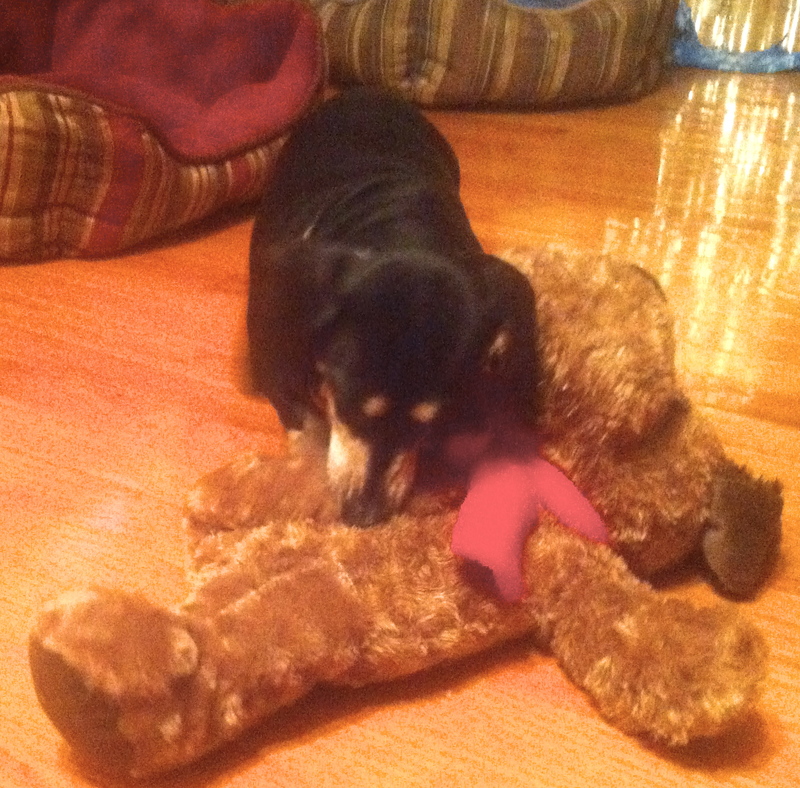 Next to the glow of the Christmas tree, Windy goes for the soft underbelly of a toy that is bigger than she is. This entry was posted in Christmas, Dachshunds, Dog Accessories, Dog Toys and tagged Dachshunds, dog toys. Bookmark the permalink.